At The Neighborhoods by TigerPlace in Columbia, Missouri, our compassionate skilled nursing staff work hard to ensure our residents regain and then maintain their independence. Our specialized experts – from nurses to therapists – offer a variety of services depending on your unique needs, including physical, occupational, and speech therapy. ​At The Neighborhoods by TigerPlace in Columbia, Missouri, in what we call our “Person-Centered” approach, we offer skilled nursing for seniors whose health needs require specialized 24/7 medical services. 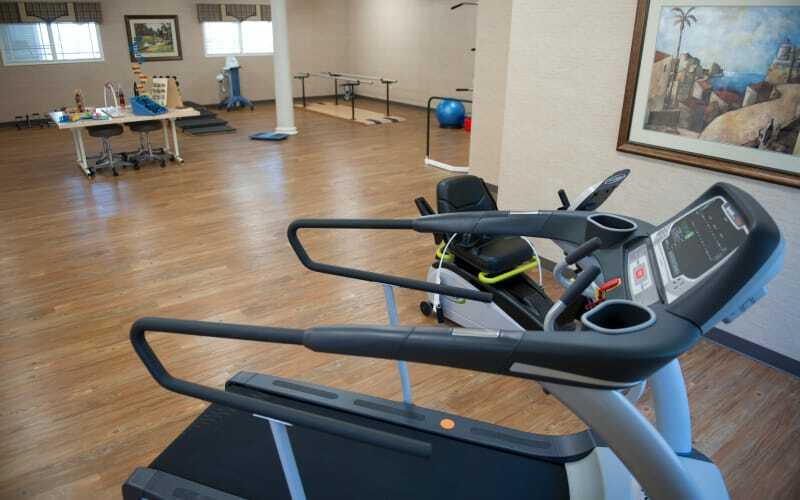 Our goal is for each of our residents to regain optimum health, mobility, and capability. We understand that maintaining one’s independence is an important part of graceful aging. In our “Person-Centered” atmosphere, you have choices and a voice in decisions like when you wake, what you eat, and when you bathe. We never assume a one-size-fits-all approach. Our compassionate team of professionals orchestrate customized programs of care, treating each resident as the unique individual they are. When you are a resident of The Neighborhoods by TigerPlace, you are treated as family. Our 24-hour emergency call light system provides peace of mind, so you know that when help is needed, it is only a moment away. Whether your stay with us is brief or extended, you can count on us to provide a stellar level of care, doing everything possible for you or your loved one to live life to its fullest. Discover the warmth and comfort of our skilled nursing community at The Neighborhoods by TigerPlace. Come in for a tour, a meal, or just a chat with our experienced senior living professionals.